In 2015, data from the National Funeral Directors Association showed that for the first time there were more cremations than burials, at 48.5% to 45.6% respectively. That figure has only increased, with the approximately 70% of families now opting for cremation in Australian cities. 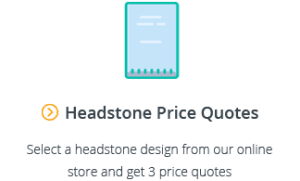 The main driver for this trend, as we discussed in our article on the average cost of a cremation, is the increasing cost of burials in Australia. If you have decided on a cremation, there are a number of important aspects to consider, including: the crematorium, the type of service, how to handle the cremated remains, cremation products, cemetery fees and cremation costs. Cremations are performed at crematoriums, which are usually located within cemeteries. Families may select a crematorium based on proximity or based on the affiliations of a particular funeral director. There is a common misconception that choosing to have a cremation means that you do not hold a traditional funeral service. This is definitely not the case. It is quite common for families to hold a traditional service prior to the cremation (for example, at a chapel with the casket present, with prayer readings and eulogies). Alternatively, it is becoming more common for families to arrange for a direct cremation (otherwise known as a no service, no attendance cremation) followed by a memorial service a number of days after the cremation. For more information on the types of cremation services commonly held, see our guide to planning a funeral service. The most common options for handling cremated remains (or “cremains”) are to keep them in an urn, bury them in a cemetery (either in a plot in the ground or above ground in a wall niche or columbarium), or to scatter them. A columbarium is an above ground interment option for cremated remains, and is similar to a mausoleum except that the wall spaces (or “wall niches”) are much smaller, being designed for urns rather than caskets. There are number of non-traditional options for handling cremated remains, including having them made into jewellery or diamonds, or even having them mixed into concrete structures that form the foundation for marine reefs which can be visited via a scuba dive. If you are considering arranging a green funeral, Ashes can also be interred at most natural burial sites in a biodegradable urn. The products required to carry out a cremation will vary depending on the type of service selected and how you would like to handle the cremated remains. Typically, families will at least require a cremation casket and urn. A cremation casket is a casket that is designed specifically for cremation. They don’t have metal accessories and are fully combustible, and are generally much cheaper than burial caskets as their purpose is simply to serve as a container for cremation. Cremation caskets can be made of a range of materials including solid wood, MDF, wicker, bamboo or cardboard. 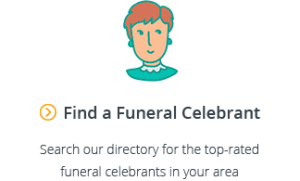 If you are holding a traditional funeral service prior to the cremation and the casket will be present, you might opt for a more expensive casket or enquire whether your funeral home can arrange a rental casket (or “alternative container”). An alternative container (unlike most cremation caskets) is designed for display at the service. The body is first placed in a wooden container which is then placed in the rental casket. This means that the interior section which the body touches is never shared. The wooden container can then be removed following the ceremony and placed into the cremation container for the cremation. For more information on cremation caskets, including pricing, see our Guide to Coffin Prices. If you have a cremation you will need an urn to hold the ashes. There are many different urn styles and materials and ultimately, selection comes down to personal preference. However, depending on what you would like to do with the cremated remains, families may want to look into keepsake urns (smaller than single urns if several family members would like to keep a portion of the ashes), companion urns (larger urns that are designed often for a husband and wife) or scattering vials (used to divide the ashes so they can be easily scattered by participants at a scattering ceremony). For more information, see our complete Guide to Cremation Urns for Ashes. In the case that you choose to bury your loved one’s remains in a cemetery, the cemetery may require the use of a burial vault or grave liner. Burial vaults and grave liners are usually made from copper, steel or concrete and go around the urn. Burial vaults completely line the plot (i.e. sides top and bottom) whereas liners only line the sides and top. The reason for vaults and liners is to prevent the soil around and on top of the plot from collapsing over time, ensuring safety and reducing the need for significant maintenance. Be sure to check with your cemetery regarding the requirements of any burial vaults or grave liners that may be required. As these containers are much smaller for urns than caskets, they are also significantly cheaper. Compared to burials, cremations can be a significantly cheaper funeral option. 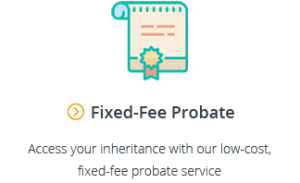 To learn more about cremation costs and cemetery fees, see our article on the average cost of a cremation and our guide to funeral costs in Australia. For information about the cheapest type of cremations, see our Complete Guide to Cheap Cremations in Australia. As you can see, selecting a cremation over a burial is just the first step in the process and there are a number of important considerations that must follow. Once you have a broad idea of the cremation you would like to arrange, it’s the right time to think about getting in touch with a funeral director. 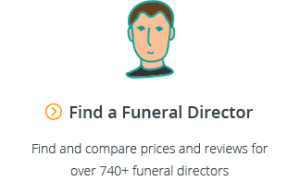 When you’re ready, Gathered Here can help you search and compare the cremation prices and services of hundreds of local funeral directors.